From the moment you arrive in Morocco your senses are overwhelmed. The country is a dizzying array of faces, spices, details, and colors. It’s a country of contrasts moving from the scrambled maze of the medinas in Marrakesh and Fez to the silence of the Sahara desert. Motorbikes zip through narrow streets, hawkers sell their wares, and the sand blows across and an empty desert. The landscape of the country is diverse and begs to be explored. It has wonderful beaches, rich valleys lined with quaint towns, and a plethora of mountain ranges such as the Rif and High Atlas Mountains. In many ways, Morocco feels as if you have stepped back in time to another world. Its medinas are a maze that has grown over a several millennia and the architecture is unique. It comes with one caveat, Morocco has an ability to get under any travelers skin in both the best and worst of ways. Morocco will test you, but you’ll survive and will be a better traveler because of it. Languages Spoken: Arabic is the common language, although many Moroccans speak French. In Northern Morocco, you may also get by with Spanish. Berber is the second official language spoken by the Berber population – the original inhabitants of Morocco. Currency: Moroccan dirham (MAD). Some places may take USD or EUR. Morocco is a cash country. Outside of accommodation we never paid anything via credit card. 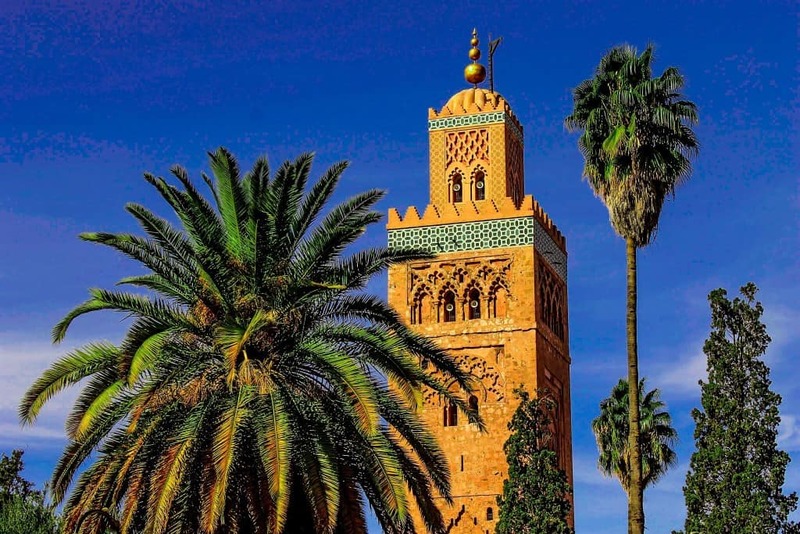 Visa: Most visitors can enter Morocco visa-free for 90 days – check with your embassy. Weather: Morocco’s climate is moderate and cooled by breezes off the Atlantic and Mediterranean on the coast. The inland climate is hot and in the mountains, it can get chilly at night – pack a down jacket. What to Pack: Morocco is a predominately Muslim country so visitors should dress conservatively. I would suggest a scarf for covering up, harem pants, sandals, and loose shirts. Stay Connected: Maroc Telecom, Meditel, and Inwi are the main service providers. Maroc Telecom seemed to work the best for us. Data is cheap in Morocco and you can find sim cards in any town center. Read more about the internet here. Be Warned: Morocco is scam city. Many locals are well versed in running cons and making a quick dirham off a traveler in any way they can. In medinas, it is common for locals to give false directions in order to get you lost and then demand payment for the correct directions. Yea, it’s messed up – remember I said we love and hate it. Hostels can be found all over Morocco and a cheap price. Usually, for $10 your hostel will have comfortable rooms and include a basic breakfast in the morning. We found every hostel we stayed at in Morocco to have a very social atmosphere and they were perfect for meeting people! A traditional Moroccan riad is a large home with an interior courtyard. The courtyard is often filled with fountain and garden that serves as a “lounge” or dining area for guests. The central atrium is often open from at the top and the only source of natural light. They’re known for being an oasis in the middle of chaotic cities and encourage relaxation. Often on the top of the riad is a roof for lounging outside and often have a pool. It is customary to be served a breakfast. Any trip to Morocco should include at least some time spent in a Riad whether on a backpackers budget or a luxury holiday. Morocco is well connected with many points of entry. 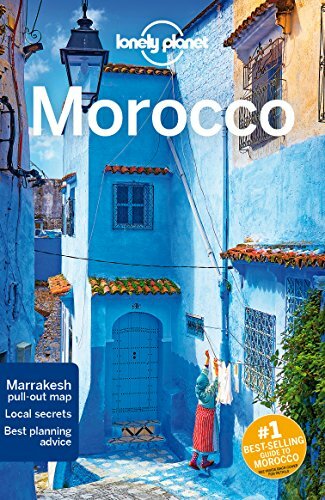 The two most popular entry points are Mohammed V International Airport in Casablanca and Marrakesh Menara Airport just outside of the medina in Marrakech. A plethora of budget air carriers and airlines service these airports. Another popular option is to travel via Gibraltar or Malaga, Spain and on a ferry to Tangier or Tarifa in Morocco. The buses are a great way to get around Morocco. There are two types that you can take. The “luxury” aka tourist bus and the local bus. One is much cheaper and one is much nicer, and I’m sure you can figure out the difference. CTM and Supratours are the two luxury bus services. You’ll have to put your bag under the bus for a fee, usually no more than 5 Moroccan Dirham. The local buses are an interesting affair. They are crowded, run down, and stop for literally every Joe Schmoe on the side of the road. They are cheaper than the luxury buses, but not by much by western standards. If you’re up for an adventure then go for the local bus. I would personally recommend saving yourself the hassle and pay to take a bus with a private bus company. Morocco’s train system is great for going long distances and traveling overnight. You’ll have the choice of either third, second, or sleeper cabin. The network extends from Agadir in the South all the way to Tangier in the North. It’s a great way to travel between the major cities. Grand taxis are far from grand. A grand taxi is an old Mercedes diesel sedan that Jimi Hendrix probably rode in when he visited Morocco in the 60’s. The taxis go to certain destinations and wait until the car is filled with 6 passengers (plus the driver) until they hit the road. If you are in a hurry you’ll be expected to pay for the empty seats to hit the road. Undoubtedly, another Moroccan experience you have to have and a cheap way of transport—just not exactly comfortable. It’s not uncommon to have additional passengers in the form of livestock – goats, chickens, or rabbits. You won’t find many grocery stores in Morocco unless you are in big cities. Instead, you will find local shops for dry goods and street vendors in the medina. The street vendors sell dates, fruits, vegetables, and lots of and lots of meat. Remember not to buy produce that cannot be peeled. We’ve bought produce from locals all over Africa and have never been sick as a result – just play it smart. Wash, peel, and cook. Food is very affordable in Morocco for western travelers. They have a booming street food scene in many of the cities and it’s full of flavor. A good meal at a western style cafe will cost anywhere from $4-$8. At Moroccan local restaurants, a delicious tagine will run you between$3-$5. Nicer seafood meals, for instance, are slightly more expensive at $10-$15. Coffees and mint tea are a $1 or less. While in the medinas you will also find street vendors selling fresh orange juice for less than $.50! This is one of our favorite travel experiences in the world. 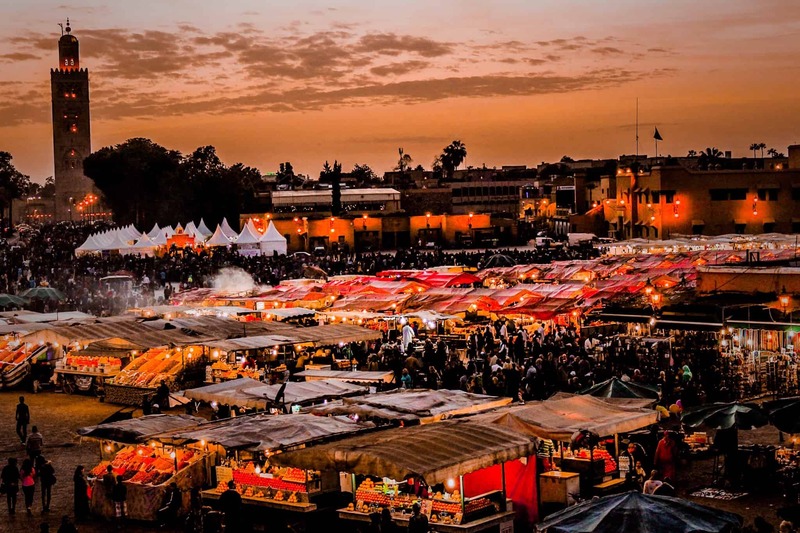 Jemaa El Fnaa is the main square and market place in Marrakesh‘s medina quarter (old city) a focal point for the city. The square is busy during the day, but after sunset, it comes alive. It’s one big circus with dozens of street vendors, food carts, snake charmers, storytellers, and dancers. It stays running late into the evening and is visited by both locals and tourists alike making for a wonderful atmosphere. The photo at the top of this page was taken right after sunset in the square. In the lovely Rif Mountains, is Chefchaouen. “Chaouen” as locals call it, is a small city that is renowned for its visually stunning medina in that is painted in various shades of blue. Besides the blue streets, Chefchauoen is a popular tourist destination for its hashish, grown prolifically all over the region, and laidback hikes. Essaouira is perched on a rocky outcrop with a medina that appears at any moment to be beaten back by the sea. Yet, after centuries of waves, it stands defiantly. It’s only a three-hour ride away from Marrakech and there is no shortage of things to do here. A laid-back hippy vibe permeates, a buzzing medina remains relevant to locals and tourists, while access to modern comforts is readily available. The small town of Taghazout is well known for its bay and surf. Surfers from all over Europe and the world come to relax in a cheap destination with good food, weather, and solid waves. A number of surf camps have opened shop here and will house, feed, teach, and provide surfboards to travelers wanting to learn or work on their surf skills. If you’re a regular watcher or reader of Anthony Bourdain and find yourself in Morocco there is the chance to eat at one the restaurants featured in the show. In an episode of the popular show Parts Unknown, Bourdain travels to the tip of Northern Morocco to explore the craziness of Tangier and eat at Le Saveur De Poisson. Everyone gets the same four-course meal with the freshest catch of the day for about 200 DH. It’s been one of our favorite meals in all of our travels. Many people travel to Morocco for the Sahara desert. Although they are not close the vast majority of travelers book tours from the tourist hub of Marrakesh and Fez. They are cheap at only $40 a day. This includes your driver, breakfast and dinner, accommodation, and a camel ride into the Sahara. The other option is to travel to Merzouga or Zagora, gateways to the Sahara. Be careful when booking tours with Moroccan operators as they are notorious for skimming money from you (seriously, it happened to us and we are pretty well-versed travelers). I’m not saying they all will, but just do your research beforehand. The High Atlas Mountains in central Morocco stretch over 1500 miles. Many Berbers inhabit the areas around the mountains. We traveled to Imintanout which is virtually untouched by tourism and a good place to visit if you want to learn more about Berber culture. The High Atlas mountains offer amazing mountain experiences and one of the mightiest mountain chains in Africa. This museum and Islamic school has taught Imams for centuries and has centuries worth of treasures, art, and character. Visitors are allowed to enter a section of the famous school and observe amazingly ornate wood and tile work. Make sure to bring a great travel camera as it is extremely photogenic. “The door of the desert” is located just south of the High Atlas Mountains and has acted as the set to many different films over the years – most notably Lawrence of Arabia, The Mummy, and Gladiator. It is also where UNESCO World Heritage site Ait Benhaddou is located and is right between Marrakech and the Sahara. Asilah is a small city in Northern Morocco near Tangier. There is a clean and quaint medina that is whitewashed and surrounded by the sea. It’s one of the artsiest communities in Morocco and you could easily spend the whole day floating in and out of small and local shops and admiring paintings around the medina.